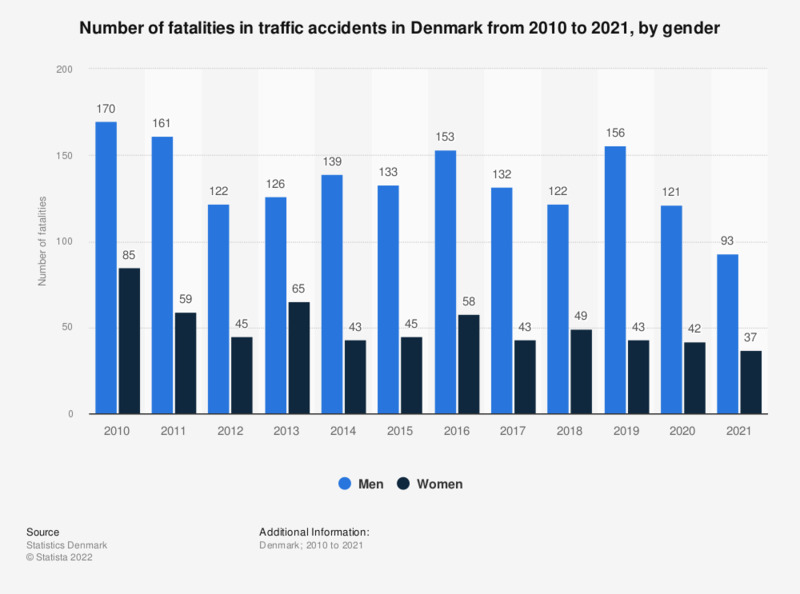 The statistic shows the number of fatalities in traffic accidents in Denmark from 2007 to 2017, by gender. During the whole period there were consistently more men dying in traffic accidents than women. In 2017, 132 men and 43 women died in traffic accidents.